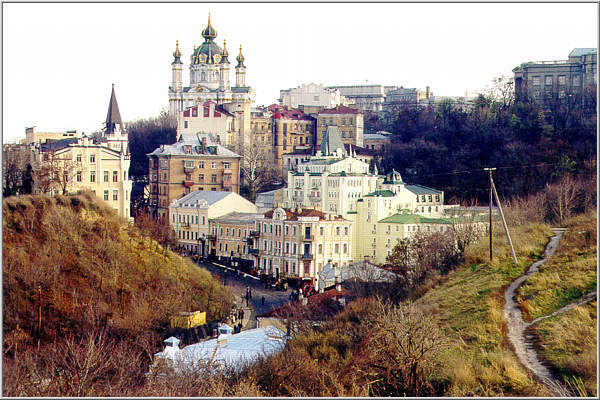 Peace Corps ’history in Ukraine began in May 1992. Ukraine’s President Leonid Kravchuk and U.S. President George Bush signed the first formal bi-lateral agreement by our countries, in Washington D.C., and the Peace Corps of the United States of America launched its program in Ukraine. The Peace Corps of the United States of America is an independent and non-political agency of the Executive Branch of Government of the United States. Ukraine has asked Peace Corps/Ukraine for human resources and professional experience to help it enter the world of the free market system. The Government of Ukraine has identified the National Agency for Development and European Integration of Ukraine with which Peace Corps/Ukraine plans the Peace Corps Volunteer assignment and initiatives in this country. The Peace Corps mission is to facilitate the productive exchange of knowledge and expertise with individuals and organizations, on Western Business Practices, and develop English language skills, necessary for full participation in the community of nations. Currently 220 volunteers are working in 78 cities in every region of Ukraine, and over 60 additional Americans are anticipated to join the program in June and September, 1999. Peace Corps/Ukraine has three primary initiatives… the Business Development Project, Teachers of English as a Foreign Language project (TEFL), and the Environment Protection Project. Peace Corps/Ukraine has the opportunity to continue making an important contribution to the development of Ukraine during this social transformation period in its history. By improving the capacity of Ukraine to provide English education and transfer free market skills and business "know-how", Peace Corps Volunteers are increasing the capacity for communication and exchanges between Ukrainians and Americans. The PC/Ukraine staff and volunteers are collaborating and cooperating with various U.S. Government Agencies, the United Nations Development Agency, and non-government organizations in Ukraine to maximize the effectiveness of U.S. foreign technical assistance to this country, during this social and economic transformation period in Ukraine's history. PC/U today is the most active and the most visible donor effort of assistance, with Peace Corps Volunteers serving in each region throughout Ukraine. PC/Ukraine will assesses the possibility of launching a fourth sector, a Health Services project in 1999/2000 and anticipated total projected PCVs in Ukraine to be with congressional budget approval, 300 in 2000. - environmental non-governmental organizations' administrative and management specialists. Copyright © 1999 by IREX. All rights reserved.